Nervous Conditions is a semi-autobiographical coming of age story set in Rhodesia (modern day Zimbabwe) in late 1960s and early 1970s. In her book Tsitsi Dangarembga through the eyes of her protagonist Tambudzai depicts the position of women in inflicted by colonial power Rhodesia. Most importantly, the book describes the ways women reject the cultural and behavioral codes constituted for them by patriarchal system. As Hena Zafar Ahmad points the book “conflates the two discourses, patriarchal and the national, in its resistance to both. Dangarembga’s nationalism, thus, reflected through her feminist lenses, allows us to explore the relationship of woman to nation in terms of feminism and nationalism in the text” (54). The novel explicitly addresses patriarchal oppression that every single female character of the Nervous Conditions is constrained by. Tambu, Nyasha, Tambu’s mother, Maiguru and Lucia are all victims of the heavily patriarchal social system. 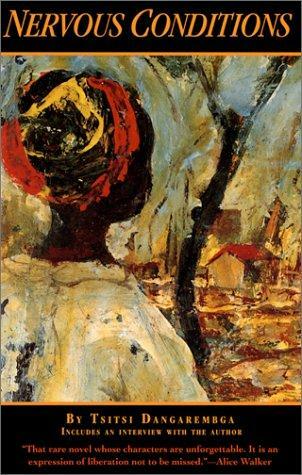 As Tambu remarks on several occasions in the novel “all the conflicts came backto this question of femaleness.”The feminist issue in the novel is inevitably diverted and distracted by the political context of colonial pressure. It is a story of the heavy burden of femaleness in a male-centered culture, a narration of the battle against patriarchal oppression exacerbated by colonization, a tale of challenging way to the world of possibilities intertwined with death and self sacrifice.